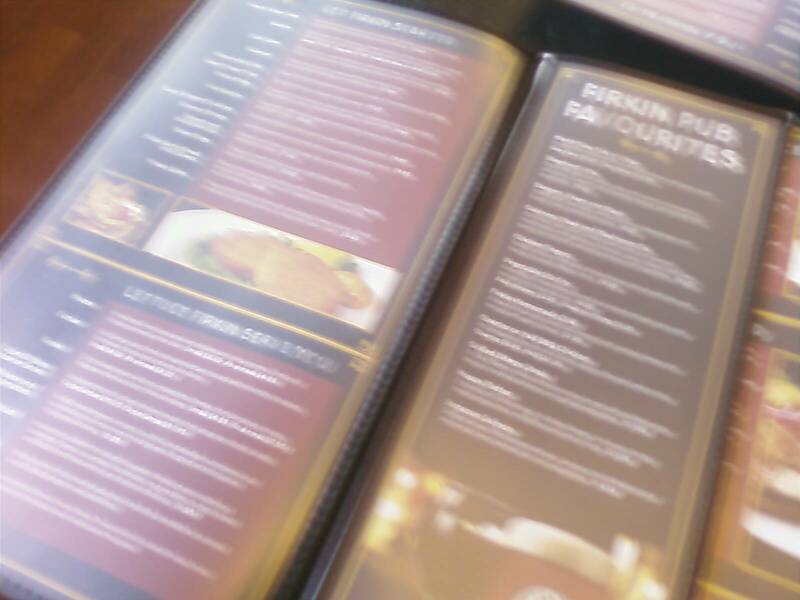 We finally made it to the Firkin and Fox Pub and Restaurant for lunch Thursday. Only four weeks after they opened, not bad. And I have to say it was everything we expected. Nice, friendly staff, good food, and an atmosphere that makes you want to come back again and again. I think we definitely have a new addition to our downtown dining choices. Which is good, because B’Sghetti’s is a great place, but really you can only go there so many times before the waitresses start recognizing you. 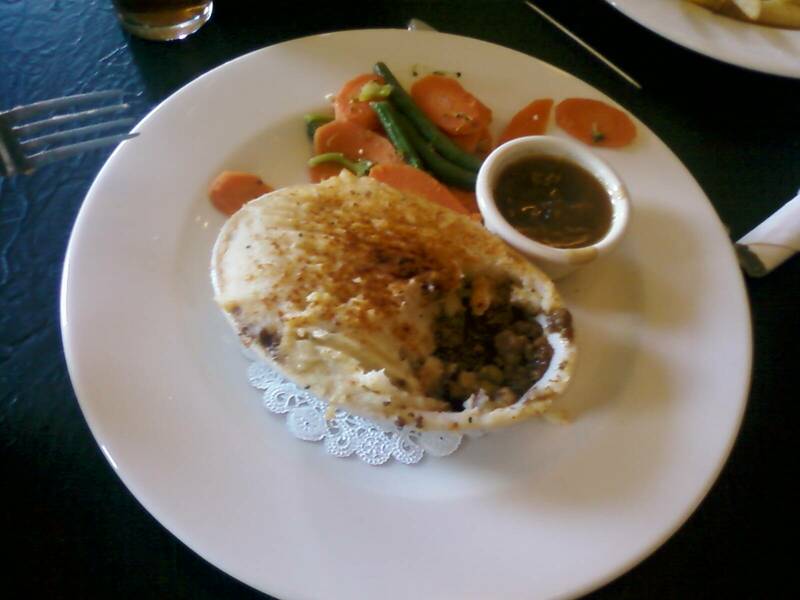 I got the Shepherd’s Pie, which was quite flavorful, if a little smaller than I expected. It came with a side of brown gravy, which I think you were supposed to pour over the top, but I used to dip fries into. 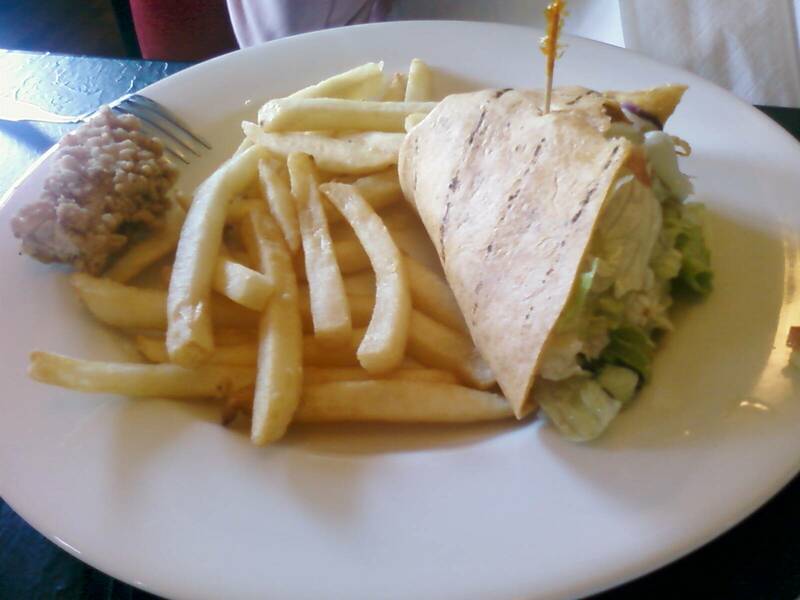 My wife got the Greek Salad, and made it into a wrap. And while it could have used a little more feta cheese, there certainly wasn’t anything wrong with it. A variety of restaurants have come and gone into this ground floor space of the St Charles hotel, and most of them have been forgettable. The Cafe Del Rio is the only one that really stands out in my memory, and even they had to move up to Virginia City to make a success of themselves. 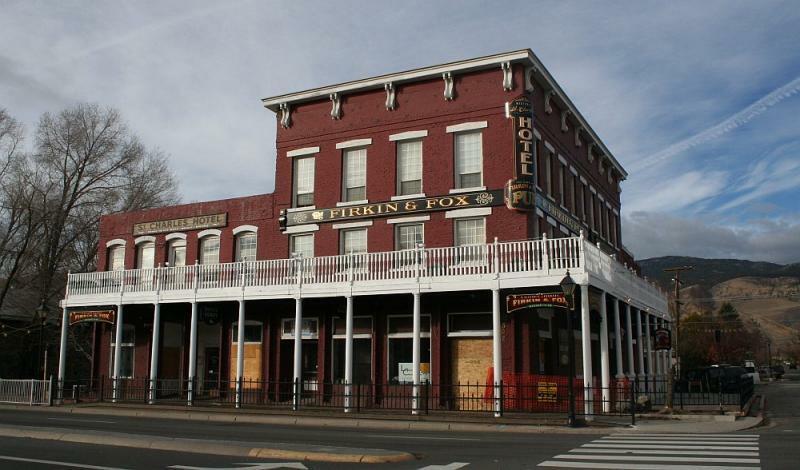 But the Firkin and Fox is notable not just because of all the renovations they’ve done to the place (including freshening the outside of the building, and making it into one of the best-looking buildings in all of downtown), but also because it’s a good restaurant that would probably be a success no matter what the location. The Firkin and Fox is usually packed even now, in the winter, when you have to dodge deep icy puddles to get to it. I can only imagine when the summer comes, and Third Street turns into a public market on Tuesdays, how packed and popular this place is going to be. I think the St. Charles has found a new long-term resident, finally, and it’s about time it happened too.